So much happens on your wedding day, and there are no do-overs. Monique tells your love story as it happens. These are treasured memories that will last a lifetime. For wedding photos you will love, Monique will be there for you. What I love most about my job is 100% the connection factor. 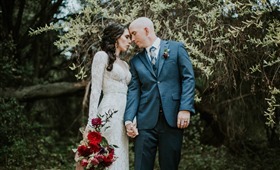 I love getting to know my couples and what makes their love story unique! I became a wedding photographer because I craved connection. Prior to weddings, I photographed mostly for retailers, food & beverage and restaurants. Although there were exciting parts to that job, I craved something deeper! That’s when I decided it was time to take my love for weddings and love for photography and combine them. I reached out to an established wedding photographer in my area asking if she was willing to take on an intern and show me the ropes. She showed me everything I needed to know to succeed in this business; from shadowing weddings/engagement sessions to marketing myself via social media. Initially, I did a lot of models called “free work” to get my portfolio going and once I began sharing my work consistently is when I began booking my own paying clients! My photography style can be described as creative, warm, natural and photo-journalistic. I capture moments as they unfold through the day. My photography style can be described as creative, warm, natural and photo-journalistic. I capture moments as they unfold through the day. My big thing is capturing those candid moments that can’t be recreated as well as capturing those “prompt based” moments that look like they’re out of a magazine. Are there things that differentiate wedding photographers? Definitely! There are several types of wedding photographers and photography styles! There are photographers who photograph using mostly natural light and then there are photographers who rely heavily on equipment like lights, reflectors, flashes, etc. to achieve a certain style. There are also several types of editing styles. Overall you want to make sure your photographer has experience with photographing a full wedding day! Feel free to ask them to see a full gallery from start to finish (not just the pretty stuff we tend to post to our websites) you want to be able to see getting ready photos, family photos, dancing, etc. Finally, the MOST important part when choosing a wedding photographer, I’d say is CONNECTION. I cannot stress this enough. You may love someone’s work based on their website or portfolio however if you reach out and don’t connect on a personal level with them, then I would say it’s not a great fit. You want your photographer to be just as excited as you are about your wedding day! You can expect your wedding photographer cost to run anywhere between $2.5-$5k. Price is highly dependent on the experience of your photographer! 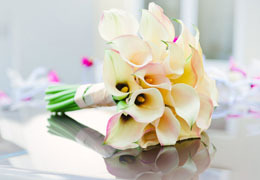 Wedding collections will typically cover 8 hours, on average. More or less photography time will influence that cost. Let me break it down for you as best I can! Time is money! The amount of time a wedding photographer spends on a wedding, factors into why it costs so much. There is a lot that goes into a wedding that is “behind the scenes” that happens before and after a wedding day. Sure, we might show up for 8 hours the day of your wedding but trust me there is so much more going on that you don’t get to see. Here’s what I mean; consultation, emails, client meetings, engagement session, pre-wedding day preparation, the wedding day, and the editing. The second biggest reason wedding photography costs so much is the gear. Those fancy cameras I’m photographing on sure cost me a pretty penny and so did the lenses (I carry a minimum of 2 camera bodies and 3 lenses at one time!) We also carry flashes, spare batteries, and memory cards. The cost of these items together run into tens of thousands of dollars. Lastly, you are paying for talent and experience. This is a day that you can’t recreate if something goes wrong. You want to pay for the assurance that the person you are paying to photograph your wedding knows how to handle the unexpected! When your wedding day is all said and done; the alcohol, the food, the cake are all things you won’t remember. The flowers will have wilted; the decorations will be thrown away. 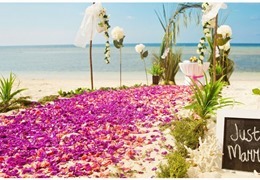 The venue and accommodations will serve as a faint backdrop to your memories. What is left are your photos, those are FOREVER. I don’t want to be just another vendor on your list, I want to be your trusted friend. Not only is my role to take pretty pictures but I’m there for it all! I don’t want to be just another vendor on your list, I want to be your trusted friend. Not only is my role to take pretty pictures but I’m there for it all! I will be there for you fluffing your dress, fixing your hair, making sure everyone is where they need to be, wrangling your family for photos and working alongside your coordinator to make sure you and your hubs are kept comfortable and happy all day! One photographer for small weddings is great, two photographers for large weddings is crucial! This is highly dependent on the size of your wedding! I photograph elopements where the guest count is 20 or less! For something like that I’d say one photographer is sufficient! However, for any standardly sized wedding I prefer working with a second photographer. Second photographers are crucial when you are having a larger wedding! Many times the bride & groom are getting ready at separate locations and for this, it helps so much to send your second photographer to where the groom is getting ready while the primary photographer stays with the bride. Second photographers are also especially helpful when you have a large family! I would say the most challenging part of a wedding day for me is, family photographs. 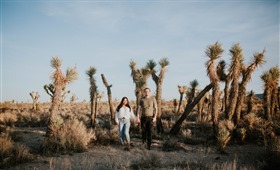 This is because you typically have a short window of time where you need to take family photos and it’s crucial to have help from your second photographer with wrangling family members. I have photographed many beautiful weddings however the most memorable would have to be a simple backyard wedding I photographed in Santa Ynez, California. The couple and I had an instant connection when it came to music, lifestyle and values. So for me, it felt like I was photographing old friends. The wedding was a backyard DIY dream and totally my style. In this job, you are always improvising! The tricky thing with weddings is that you are on a timeline, you have short windows of time where things need to get done. In this job, you are always improvising! The tricky thing with weddings is that you are on a timeline, you have short windows of time where things need to get done. Unfortunately, there are times when not all vendors are on the same page as far as the timeline's concerned! Sometimes hair and makeup will run late, half of the bridal party will be nowhere to be found, the limo is stuck in traffic, I’ve seen it all. In times like this, we improvise! We make sure we are taking all the photos that are able to be taken! So the groom is running late, no worries! Let’s get some more solo portraits of the bride! You work around things like this and you never let your couple see you sweat! Learn more about Monique Bianca Photography and see what they have to offer!